WATERVILLE — The Messalonskee girls’ lacrosse team has built a winning tradition the past few seasons, appearing in three straight state championship games and winning it all in Class A in 2016. This year may prove a little more difficult despite a drop to Class B. The Eagles, with nine freshmen on their roster and only three seniors, ran into a veteran Yarmouth club that has its own winning tradition. The Clippers, ranked first in Class B, pulled away early Friday and eased to an 18-7 victory over fifth-ranked Messalonskee. 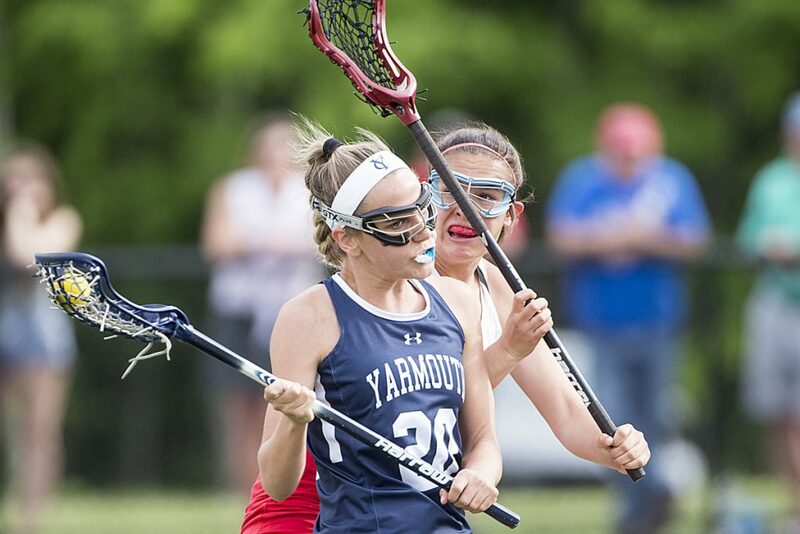 Yarmouth, which has appeared in the last seven Class B state championship games and won three of them, improved to 8-2, with its only losses against the top two teams in Class A South. The Clippers shared the ball and controlled it for nearly 90 percent of the game. They led 11-5 at halftime and pushed the margin to 10 goals in the first three minutes of the second half before easing off the gas, as Coach Dorothy Holt substituted freely. Eva Then led the Clippers with five goals. Ally Turner, Kaitlyn Smith and Lauren Pickett each scored twice for Messalonskee. Turner, who is headed to Wagner College on a lacrosse scholarship, had trouble getting untracked because of Yarmouth’s harassing defenders. Messalonskee’s best moments came in the final 2:30 of the first half when it scored three straight goals – two from Pickett and one from Smith, all assisted by Turner. The Clippers put any comeback hopes to rest with four goals in the first 2:18 of the second half, getting two apiece from Emma Marston and Then. Messalonskee’s defense is composed of freshmen and sophomores, including goaltender Sadie Colby, who finished with six saves. Yarmouth goalie Isabel Serrano finished with five saves, two of those against Turner, including a breakaway.